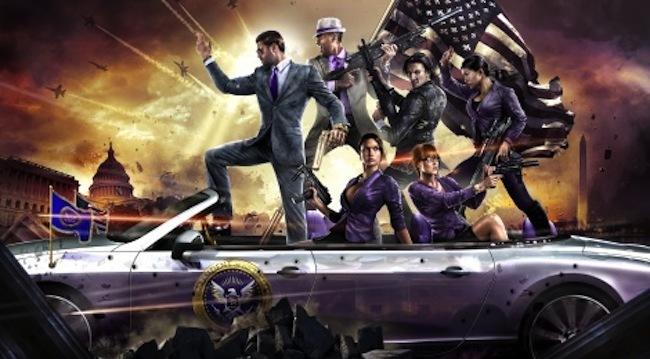 Sparse gameplay and several trailers are what we’ve been getting for Volition’s Saints Row IV so far, but Connected Digital World brings us some very solid gameplay footage with a sizeable amount of open-world mayhem. The first video shows off one of the first missions of the game, in which the aliens attack the White House and the player, now the President of the United States, gets to defend it against them. This first video looks very much like what Saints Row: The Third brought to the table, with similar shooting mechanics and aesthetic. It ends with a showdown against the alien leader, leaving the hero in dire straits before the video ends. It’s the second video where things get much more exciting. It’s in this one where you get to see all of the powers and zany new weapons at your disposal, weapons which look to far outstrip anything in the previous titles. The main enemies in this game will be the Zin, the evil alien race that seeks to enslave the minds of Earth. The powers themselves appear to be mapped similarly to the food from the previous games, with each assigned to a directional button. This should allow for them to be easily switched out and combined. There’s also a quick glimpse at the bizarre Dubstep Gun, and something that fans should really enjoy in the last two minutes of the video. Check out both of them below. Seeing these, what are you most excited for in Saints Row IV? Tell us in the comments, or visit us on our Facebook and Twitter!